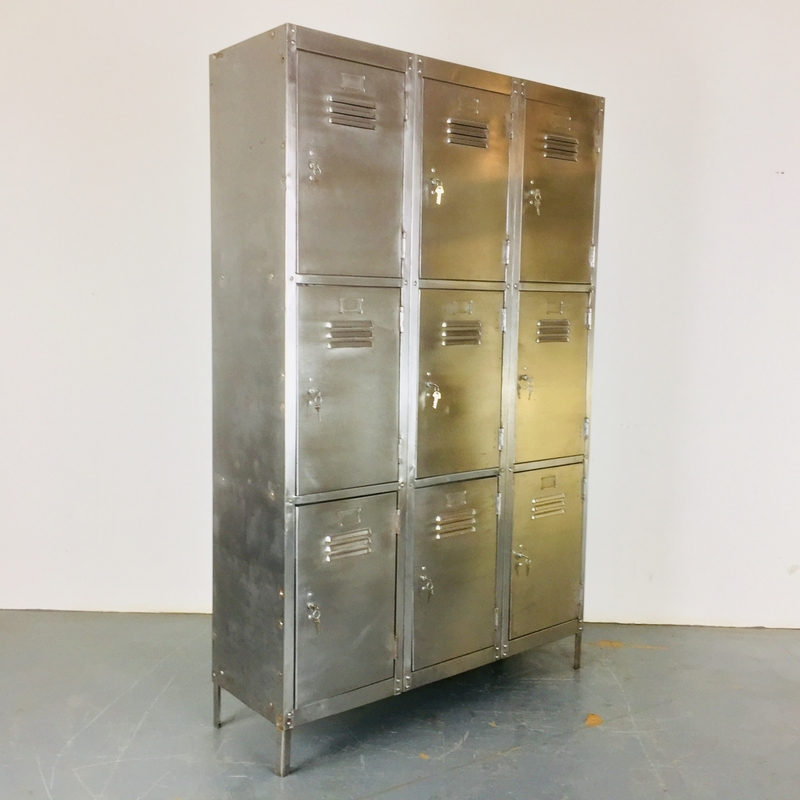 Vintage hand stripped and polished steel school locker with 9 compartments all with working locks and keys. The insides retain the original painted finish. Please note that, due to its age and the type of setting it's been salvaged from, there are signs of wear including small dents and scratches and bits of rust showing. This doesn't detract from it, we don't think, and is, in fact, what gives these lockers their character. Compartments: 37cm x 35cm x 55cm. Great piece of storage - would look great in an office, hallway or bedroom.